Unwind and soak the energy of Punjab. Enjoy the sight of sky and enthusiasm of the city through the windows of KK Residency in Chandigarh. The hotel has a touch of simplicity and modernism glimpsing through its decor. 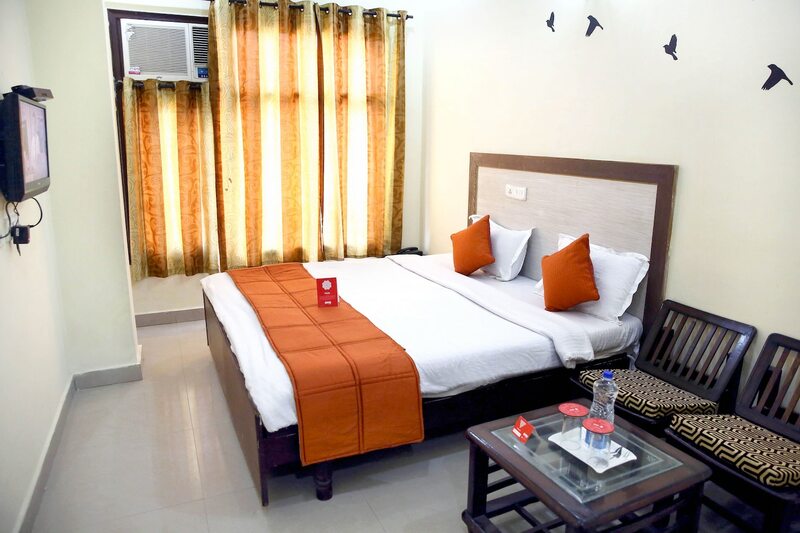 The rooms are well-equipped with pieces of wooden furniture and minimal artwork The window eases up the room with natural light gushing in adding a homely touch. Various facilities include free wifi and an elevator. The simple seating and dining area are warm and welcoming. The in-house restaurant makes an extra effort of comfortings its guests with mouth-watering cuisine and comfort food. The banquet hall is available for guests activities and events.